Dr. Thomas L. Spray’s father, a dedicated orthopedic surgeon, was Dr. Spray’s primary inspiration for becoming a doctor. Then, a mission trip to Algeria with his father when he was a teenager, solidified young Spray’s interest in pursuing a medical degree. A fascination with molecular biology led him to Haverford College where he had the unique undergraduate opportunity to obtain hands-on experience with an electron microscope. That experience later opened up doors for him at Duke University School of Medicine where, during his third year, he was able to participate in research on calcium flow in cardiac muscle and publish a paper. Later, as a third year resident at Duke, Dr. Spray went to the National Institute of Health (NIH), National Heart, Lung, and Blood Institute (NHLBI) to do research for two years. Again his electron microscopy skill paid off, for he was able to demonstrate the degeneration of tissue valves using both transmission and scanning electron microscopy. That led to his being asked to be a panelist, as a first year senior resident, discussing tissue valve degeneration at the American College of Surgeons along with the legends of heart surgery. Following his residency at Duke, Dr. Spray was recruited to join the faculty at Washington University in St. Louis. There he headed the congenital heart surgery program at the St. Louis Children’s Hospital. They established the third extracorporeal membrane oxygenation (ECMO) program in the country for post-cardiotomy circulatory support. In 1986, they established a pediatric heart transplant program and were among the first programs to pursue heart transplantation for treatment of hypoplastic left heart syndrome. 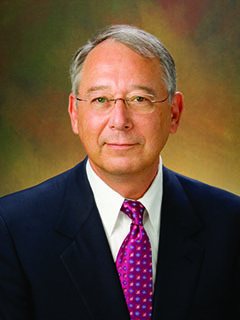 At Washington University and Barnes Hospital Dr. Spray and his team stacked up number of firsts in adult cardiac surgery including: the hospital’s first mitral valve repair program; early adoption of the Ross operation for aortic valve replacement for adults, children and neonates; the first successful pediatric lung transplant (1990) that led to establishment of the largest and most successful pediatric lung transplant program in the world; and the first ECMO bridge to lung transplant. As Dr. Spray’s first congenital heart surgical fellow James S. Tweddell, MD, recalls, “It seemed every week we were performing a ‘‘first-of-its-kind’’ operation.” Although Dr. Tweddell rates Dr. Spray a virtuoso surgeon of unparalleled skill, in-depth knowledge, and unwavering commitment, he considers his single greatest quality was being a “courageous and generous teacher of congenital heart surgery.” Over his career, Dr. Spray trained more than 42 congenital heart surgeons, including 28 fellows from the United States and 14 fellows from 10 other countries. When Dr. Spray arrived at the Children’s Hospital of Philadelphia (CHOP) and University of Pennsylvania in 1994, he brought to the institution his unique capabilities in pediatric heart and lung transplantation. He also recruited, supported, and developed remarkable talent and established a first rate congenital heart-surgery training program at CHOP. Under Dr. Spray's leadership, a multidisciplinary approach to the care of pediatric cardiothoracic patients was put in place so that CHOP’s cardiac services expanded to provide total care for the full range of infants and children with congenital cardiothoracic disorders.